Why cook when you can be an food artisan! 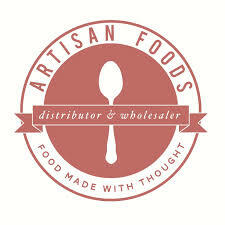 The definition of an artisan is someone who is completely and wholly integrated into the creation of their product. Now I’m sure there are way less food artisans than say furniture, clothing, jewelry, or craft artisans. But…you never know. And in comparing food artisan to a craft artisan, it’s safe to say artisan means you make something on a small scale. Now, the food channel is always trying to get people to cook. That’s like their thing. I’ve been watching Shark Tank for awhile, and there’s a spin off (at least I think it’s a spin off) with food products. Artisans make one food product very well, just like other craftspeople. You just have to go to your local farmer’s market to see everything from pickles to meats to bread to cheese to mushrooms. It seems that just about anyone can call themselves a cook, but not anyone can call themselves a food artisan. So who exactly are these artisans? Are people who work in food companies artisans? What differentiates someone who works in a big food factory from someone who works in a smaller one or at home? Can someone be an artisan of candy? Is there such a thing as healthy candy? The sad thing about artisan made foods are that they are more expensive and they seem to concentrate on a lot of baked goods, or sugary foods. I think the problem with food artisans is that you can say something is healthy, when it’s really not. I looked up food artisans online and most of the ones I looked at were for unhealthy foods like sugary foods and such. Do we really want to say something is made by an artisan when it’s just the same as the processed foods we see in the grocery? Are we just being hypocrites in saying something is healthy for you, but more expensive? It’s cool to be a food artisan. It’s cool to be a farmer too. It’s not cool to work in fast food or a food factory. It’s cool to be skinny. It’s cool to be all American. It’s also cool to be different. It’s cool to be safe and GMO free, but it’s also cool to stick with tradition. What do I mean by those statements? Well, it seems we have pre-conceived ideas about what it means to be involved in certain food-related activities. And when I say fast food, I mean McDonald’s or Burger King. Even though these places may have started it all, I read that Chipotle and Chik-fil-a are bringing in a lot of fast food business these days. Maybe it has to do with customer service as I read that people have been complaining about McDonald’s customer service recently, while Chipotle is into the local farm movement and Chik-fil-a is a Christian run chain. Maybe having some values with your food is what it’s all about these days! « what do you have in your frig, pantry, freezer, or cupboard?